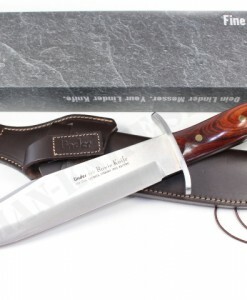 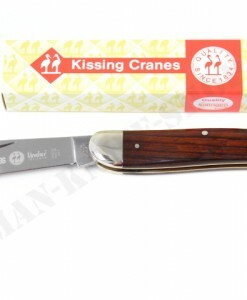 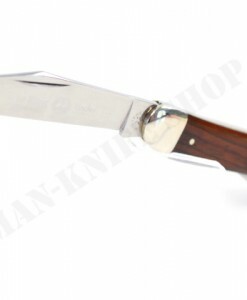 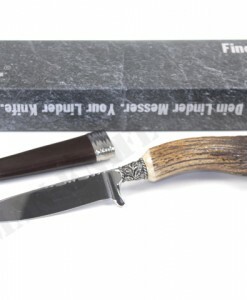 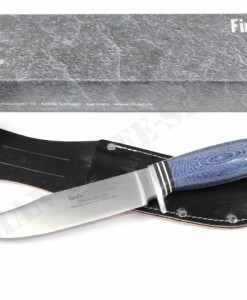 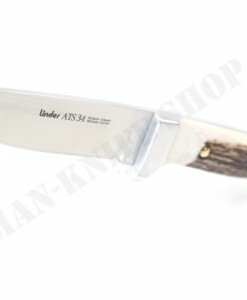 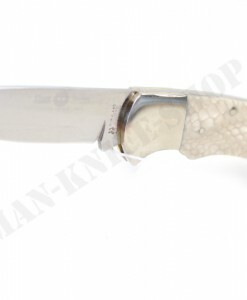 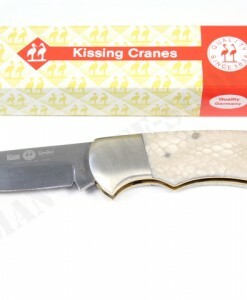 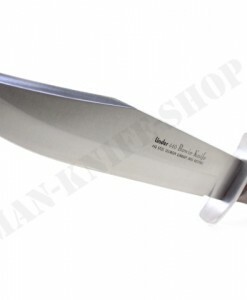 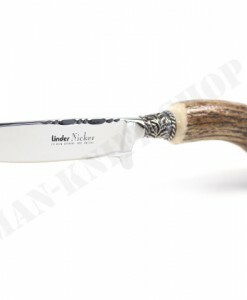 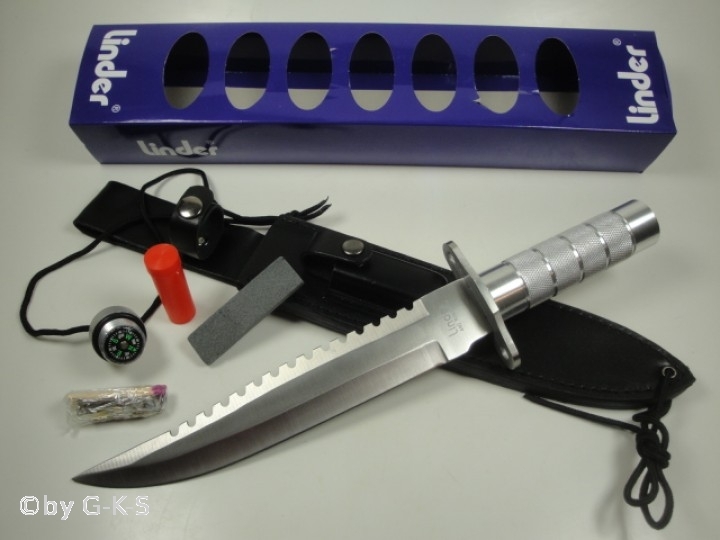 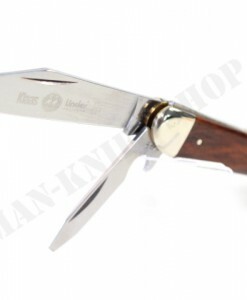 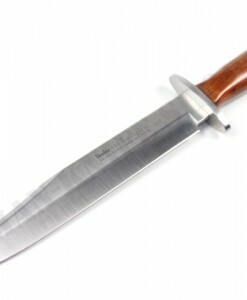 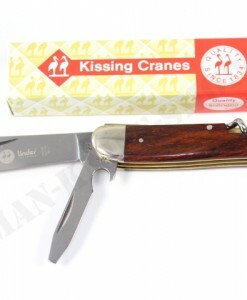 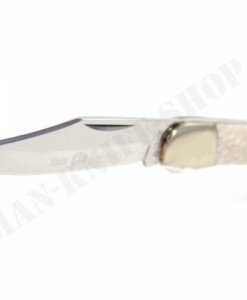 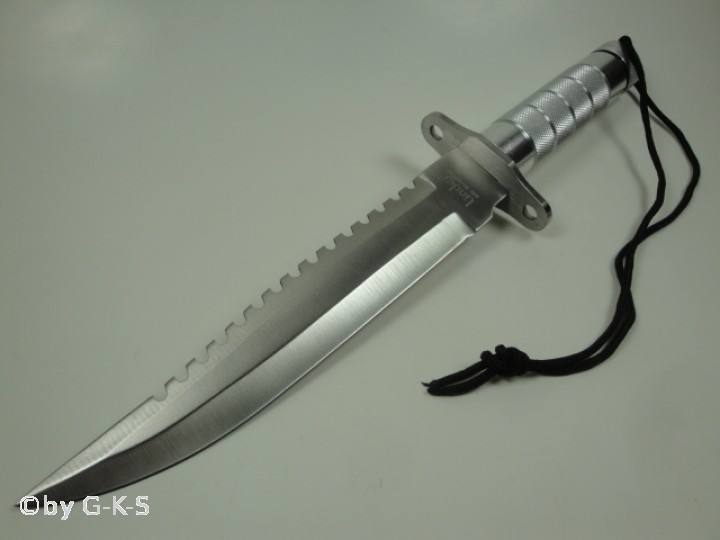 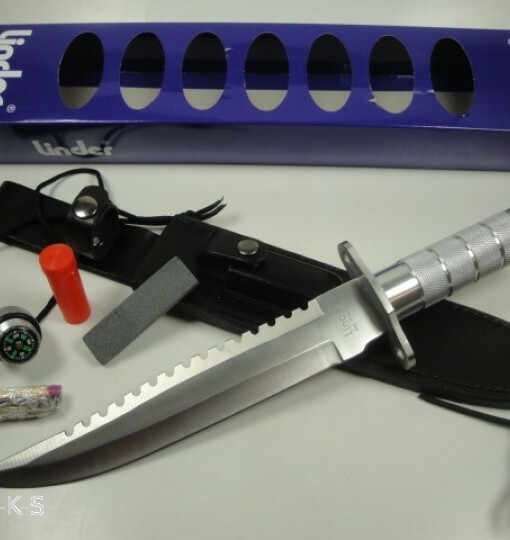 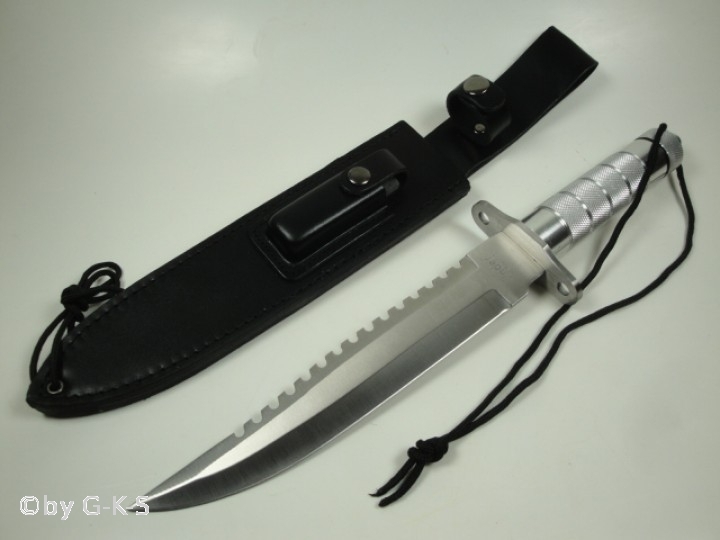 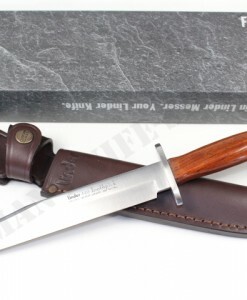 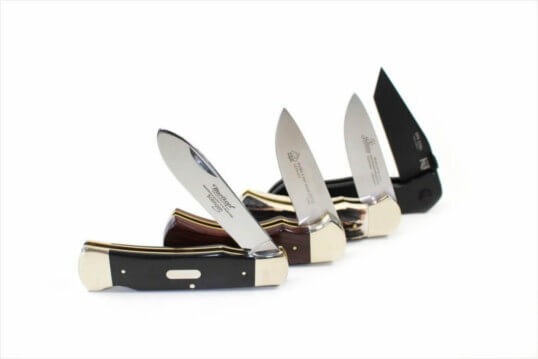 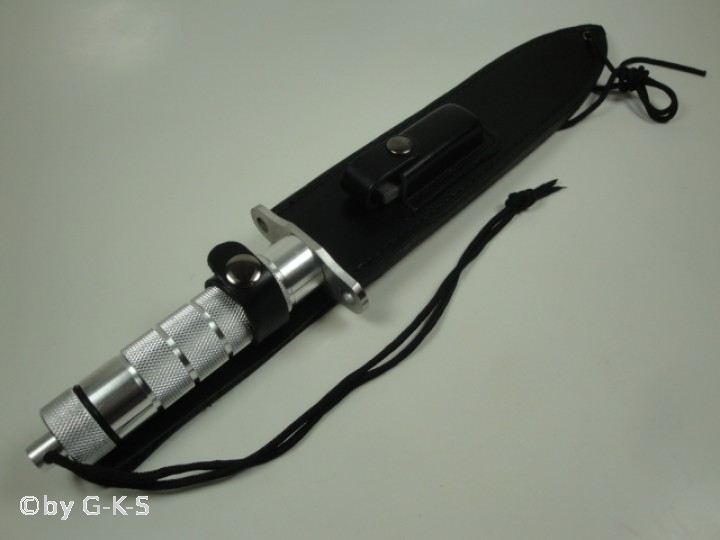 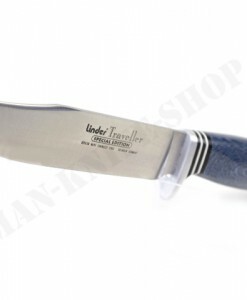 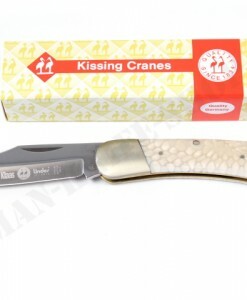 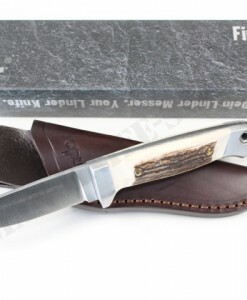 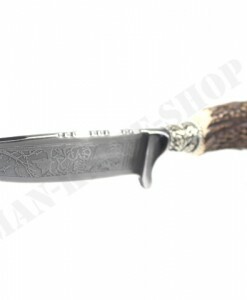 Dear customers, here we offer a beautiful Linder survival knife in “Rambo”-Style. 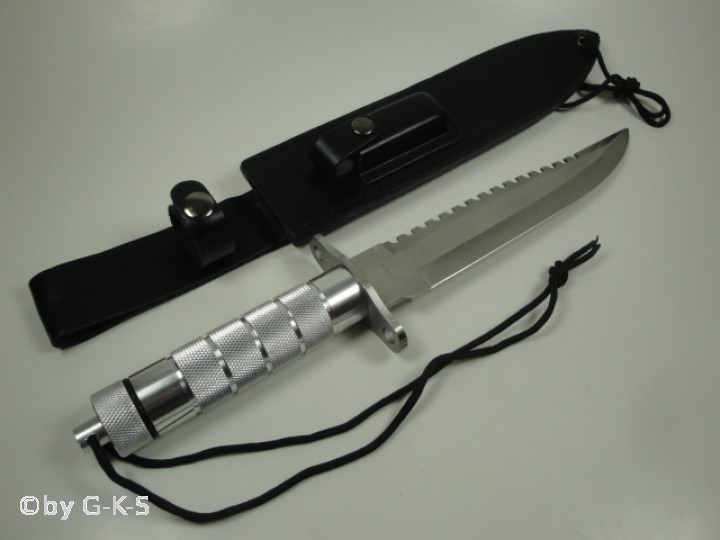 This awesome knife has a lot of difference tools inside of the Aluminum handle (needle, fire/light sticks, fishing hook & a compass). 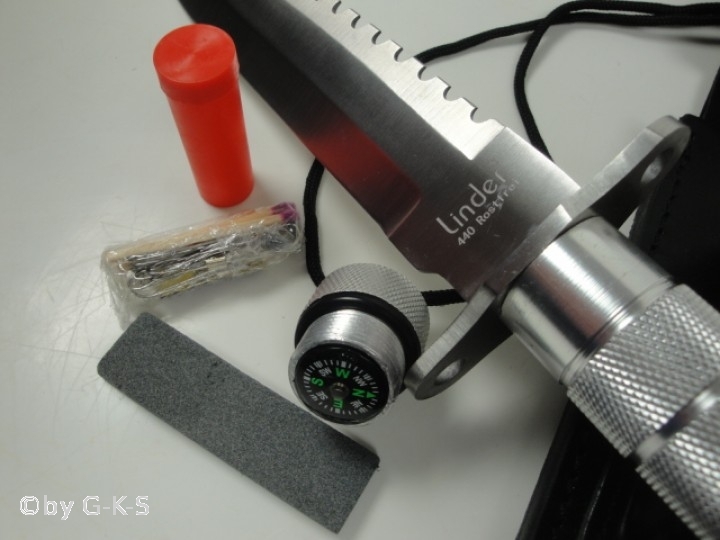 All survival parts are to find inside of the waterproof handle. 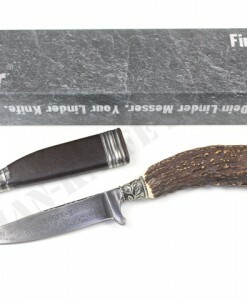 The leather sheath & the sharpening stone belongs also to this survival knife.